While we’ve yet to confirm the presence of any Last Starfighter-style arcade machines for recruitment, it seems that Denmark’s military wants to bring in more gamers. Recruiters are getting better results with gaming-focused personnel searches, so now Danish armed forces are partnering with the some of the country’s esports organisations to find more. 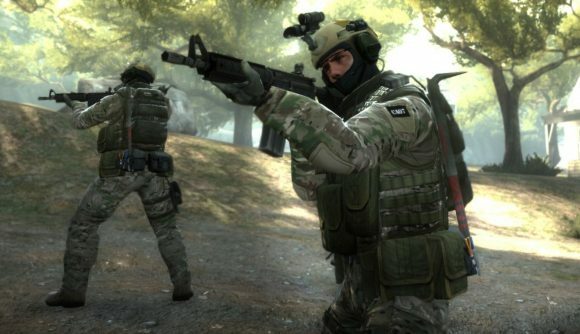 Some of that testing has been done with members of Danish esports team Astralis, and Danish Defence recruiters have already found similarly positive results in actual recruitment going back to 2017. By targeting gaming-focused platforms, the organisation picked up far more applications and far more qualified applicants for the challenging flight leader programme. Now, Danish Defence plans to build a partnership with Esport Danmark for further gaming-focused recruitment. Maybe we should be looking forward to an internationally-flavoured return to the idea of America’s Army soon – I’d say that’s unlikely, but I’ve learned better than to put limits on how weird 2019 can get.